Franchi Brothers were fantastic….accommodating, professional, and friendly. After a pretty nasty crash, the car looks like new! 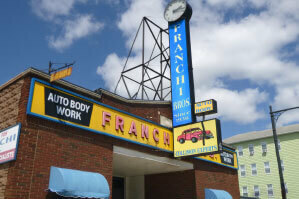 – Annie P.
I had my car repaired at Franchi Brothers with professionalism, courtesy and respect. I was very satisfied with the complete package. If I have need for further service I will be quick to return there. – Linda T.
© 2019 Franchi Brothers. All Rights Reserved.